The Radio Astronomy Centre (RAC) is part of the National Centre for Radio Astrophysics (NCRA) of the well-known Tata Institute of Fundamental Research (TIFR) which is funded by the Government of India through the Department of Atomic Energy. 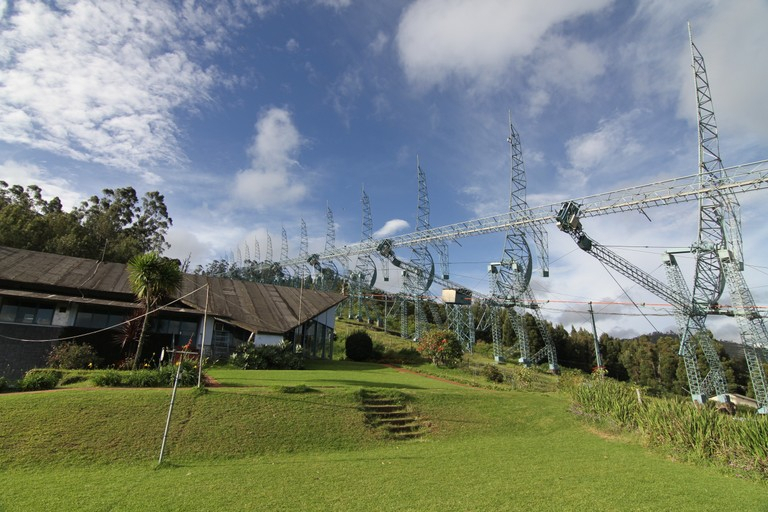 The RAC is situated near Udhagamandalam (Ooty) in the the beautiful surroundings of the Nilgiri Hills and it provides stimulating environment for the front-line research in radio astronomy and astrophysics with its excellent and highly qualified staff and international reputations. Please click here for official website.